The first clue that Lectra is taking a new approach to meeting the needs of its customers came from the display on its stand at last week's Texprocess technology trade show. Instead of the banks of computer screens and cutting systems that would usually be expected at an event like this, the company's booth simply offered visitors the opportunity to sit, meet, talk and discuss their needs with Lectra executives. 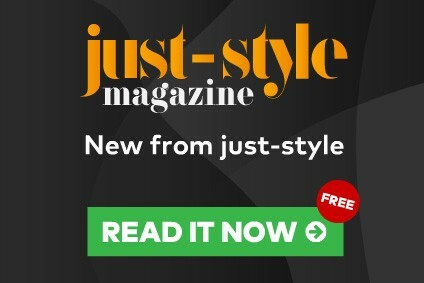 It's all part of the next phase in the company's evolution, according to CEO Daniel Harari, who presented his vision for the future for the first time to a group of journalists including just-style. The new business model builds on Lectra's 40 years of experience as a provider of design, development and manufacturing tools for the sewn products industry, and is intended to mark its transition to a high-end company and a key partner to its customers. "As values and business models change, we looked at what Lectra can bring to its customers," Harari explained. "Lectra 3.0 is all about anticipating their needs in a re-set economy. "We understand what our customers are doing, what's working well, and what's not. And we can help them re-evaluate and improve their business models." Strategic decisions taken by Lectra over the past two to three years have helped set it on this new course. For instance, products continue to be manufactured in France, "instead of moving to China where could have achieved a 20% saving in manufacturing costs." And to justify this - along with a 3-5% annual rise in prices between 2007 and 2012 - Lectra has invested heavily in innovation and R&D, spending EUR170m or 9% of its revenues in this area over the last ten years. A further EUR50m cumulative investment is being rolled out over the four years from 2012-15, including the addition of more than 300 new recruits. The raft of new product launches in the last couple of months alone testify to this, with developments focused on "more value, more innovation and more productive machines." The new Kaledo V3R3 textile design suite, for instance, offers a wider range of tools to create and manage colourways more effectively on printed, woven or knitted fabrics. It also enables designers to improve workflow and retain better control over their designs. And the latest version of the Modaris V7R2 product development solution for pattern making, grading and 3D prototyping helps streamline pattern development with options to boost speed, flexibility and control. In particular, Harari believes 3D technology marks a "major breakthrough" in product development, not only as a tool to check fit and quality, but by providing a new visual language to communicate with everyone involved in the process. 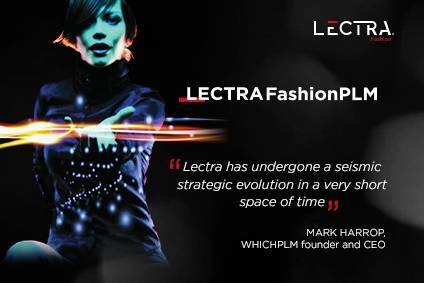 Likewise, linking design and pattern making tools into Lectra Fashion PLM helps ensure quick and informed decisions at any time from concept to production. Lectra has targeted certain "candidate customers" that it wants to work with, who focus on high quality standards, have a strong brand portfolio, are innovators and technology believers, and also design-centric. And it believes it can "reinvent the rules of our industry" by helping these firms optimise their business processes - a course known as "change management". "Most people don't use cutters well," Harari explains, noting that optimising and standardising machine settings can lead to a 100% increase in throughput. Other examples include a 75% saving in the time it takes to make markers, and a 20% rise in pattern making productivity, simply by analysing the processes and the way they are carried out. "We will advise customers on the best way to use technology to achieve what they want to achieve." Harari concedes "it's easier to do this in cutting than in product development" as the company's cutters have monitored customers' workloads for the past five years. "This has enabled us to build data and experience on thousands of cutters working each day and allows us to see what's working well and what's not." But as he points out: "There's not one business model fits all, but there are lots of solutions."